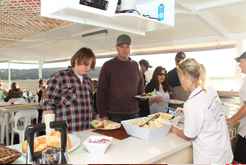 The vessel is licenses for 40 guests and is equipped with galley facilities and a well stocked bar. 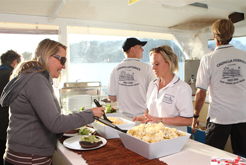 The Explorer’s crew are renowned for providng excellent service with fabulous food. 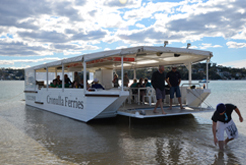 Enjoy the short scenic cruise across Port Hacking to swim and snorkel in the pristine waters, walk along a secluded beach, explore the Royal National Park or just sit back and relax on the beach in the afternoon sun. 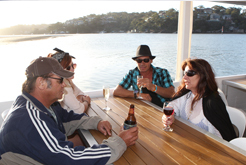 Later, return to the vessel to the inviting aromas of a succulent BBQ lunch/dinner being prepared by our own qualified Chef. 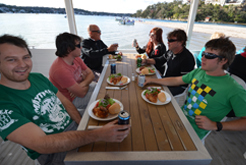 Enjoy good company, great food and a few laughs with family and friends among the tranquility that is the Port Hacking.